With fresh breezes to greet you every morning, all the sounds of nature just outside your windows and ambiance of your amazing accommodation to comfort you, The Hemingway Express Safari is the perfect 6-day getaway. On this Kenyan Safari, visit places such as the Maasai Mara and Lake Nakuru, it promises to be a good introduction to first-time safari seekers. Meet & assist at Nairobi International Airport upon arrival & departure. All airport transfers by a private deluxe A/C vehicle. Accommodation for 1 night in Nairobi based on Breakfast. Accommodation for 2 night in Maasai Mara based on Full Board. Accommodation for 1 night in Lake Nakuru based on Full Board. Accommodation for 1 night in Aberdare based on Full Board. All transfers inside the desert and parks by 4x4 land cruiser or safari minivan. 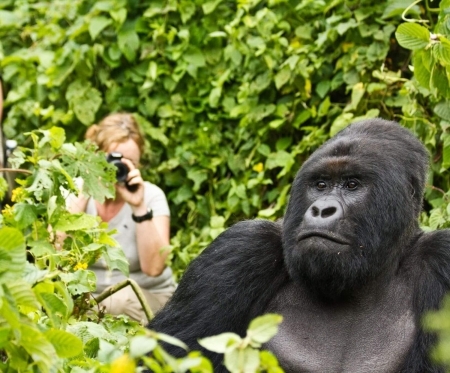 Private English-speaking safari guide and experienced driver during your Kenya safari. Entrance fees to all parks and sites as indicated on the itinerary. Bottled Water during safari tours in the desert and parks. Two-way long range high-frequency radio communication in each vehicle. On safari accessories in each vehicle: First-aid kit, wildlife books, a pair of binoculars, cool box and fire extinguisher. Jambo and welcome to Kenya a place whose beauty speaks words like no other, you will be greeted at Jomo Kenyatta International Airport in Nairobi and transferred to your hotel by our representative. Overnight at Fairmount The Norfolk, a lovely lodge style hotel that meets your every need. On your second day after breakfast your adventures begin with a journey to the Rift Valley of the Maasai Mara, one world’s most well known animal migration observatories. 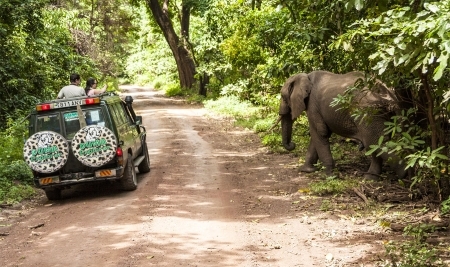 While on route be sure to take in the abundance of wildlife. Arriving in time for lunch and mix of local and some international cuisines will delight your taste buds. With two days to spare at the Keekorok Lodge, take to the Maasai Mara a menagerie of magnificent animals including the Big Five. Most beautiful during the migration of millions of wildebeests, zebras and gazelles from the Serengeti of Tanzania and the Mara River to the grasslands. 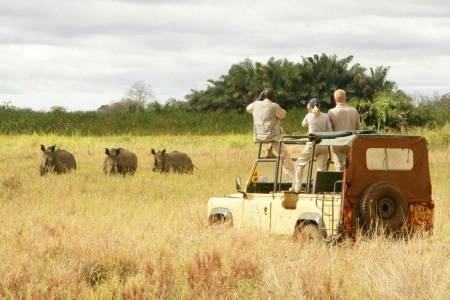 With morning and evening game drives your days will be fulfilling. Enjoy your second day at the Maasai Mara indulging in its wonders, from the grasslands to the rivers. On your fourth Continue with your journey this morning as you drive to Lake Nakuru National Park, a shallow alkaline lake that is world-renowned for its collection of birds that give the lake a pinkish hue in the distance. Hippos, buffalos, waterbucks, giraffes and more can be seen surrounding the late with its majestic Acacia trees. You will spend the night at Flamingo Hill Tented camp decorated in calming safari tones, natural woods, wrought iron accents, and crisp linens, each tent has been thoughtfully designed to maximize comfort. On your fifth day your journey takes you to Aberdare National Park, a place resembling the cradle of life, lush greenery, amazing waterfalls and steep ravines. The place is theming with animals of every kind. Some very rare including the giant forest hog, bongo,, golden cat and serval cat. You will over night at the Ark a beautiful lodge designed to represent Noah’s Ark. After breakfast at the Ark, bid farewell to the Aberdare as you set on your journey back to Nairobi. You will arrive in Kenya's bustling capital city Nairobi in the early afternoon to get your flight back home. Prices are quoted in US Dollars per person per trip and valid until December 31.2018 except the peak period and migration Period, payment can be done in Sterling Pounds or Euro with no extra surcharge. - 0 - 3 Free of Charge. - 4 - 11 Pay 40% of tour price. - If your tour package includes airfare then an extra charge for your children may apply. Reservations should be made as early as possible to book your desired Kenya safari tour, spaces will be secured upon receiving a deposit of 50 %. This deposit forms part of your final payment. Deposits can only be made by credit cards, wire transfer and or the Western Union, and the balance of payment to be paid one week before tour start date. Like most countries, tipping is customary to show one's satisfaction with good services. You are in no way obliged to, however, if you’re willing to do so it would be well appreciated.